The Presidency has lashed out at those found of criticising the President Muhammadu Buhari-led Federal Government. 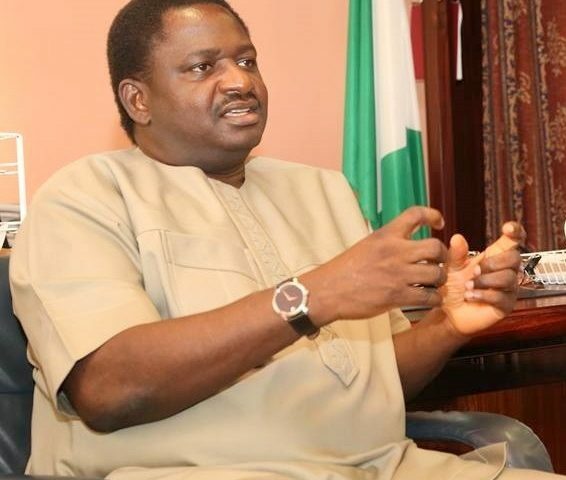 Buhari’s Special Adviser on Media and Publicity, Femi Adesina said some of those criticising the President will complain about God if they make it to heaven. Adesina made the remark while speaking on the sideline of the 72nd United Nations General Assembly (UNGA), in New York. Reacting to the criticisms that trailed Buhari’s address to world leaders, Adesina described the President’s accusers as “professional critics” who will never see anything good in anything. “They are professional critics who never see anything good in anything. If such people mistakenly get into heaven, they will complain about God. “There will always be naysayers around. As the saying goes, no drummer can ever please all dancers. If 98 people out of 100 praise you, there will always be the two, who will never see anything good in what you have done.